Gratefulness is crucial to receiving God’s best and it’s often missing in our society today. The absence of gratefulness caused the children of Israel in the Old Testament to lose out on entering the Promised Land. The result of ungratefulness is seen in symptoms of grumbling and stress. We have stress hitting us from every direction. One of the results of losing grateful-heartedness is that we start to grumble. Grumbling becomes the basis of our daily attitude. God wants us to recalibrate our hearts so that gratefulness is our beginning. Start with being grateful. In fact, the Bible says, “With food and clothing, they were to be content” (1 Tim. 6:8). Often, we add so many other layers of needs and we get upset when they’re not met. We need to recalibrate our hearts so gratefulness is the beginning of our reach. We see ungratefulness in the Old Testament. The Israelites had a tendency to grumble. In fact, all the way through the wilderness, they demonstrated that they had lost a grateful heart. They were delivered out of Egypt, out of slavery to the Egyptians and arrived on the shores of the Red Sea. When they saw the Egyptians coming, they started grumbling. And Moses said, “Oh, hold on!” God then divided the waters of the Red Sea. The people went through and God closed the sea. Safe from the Egyptians, the people traveled until they reached a place where there was a lake. Now, the waters of the lake were so bitter that the people could not drink it, so they called it “Marah,” which means “bitter.” The people began grumbling. They had just seen the miracle of God using force to open the Red Sea and He did it without any problem. Yet, when they came to a place where the water was bitter, they began to grumble again. “When they came to Marah, they could not drink the waters of Marah, for they were bitter; therefore, it was named Marah. So the people grumbled at Moses, saying, ‘What shall we drink?’ Then he cried out to the Lord, and the Lord showed him a tree; and he threw it into the waters, and the waters became sweet. There He made for them a statute and regulation, and there He tested them. And He said, ‘If you will give earnest heed to the voice of the Lord your God, and do what is right in His sight, and give ear to His commandments, and keep all His statutes, I will put none of the diseases on you which I have put on the Egyptians; for I, the Lord, am your healer’” (Ex. 15:23-26). “Let us come into His presence with thanksgiving” (Ps. 95:2). God says, “Come into My presence.” But what’s the key? You need to have a heart of thanksgiving. One way to help make people better is to recalibrate ungrateful hearts. Otherwise, they will be susceptible to bitterness. When we lose a heart of gratefulness, we become so susceptible to bitterness. “In everything give thanks, for this is God’s will for you in Christ Jesus” (1 Th. 5:18). God is not saying for everything, give thanks. He is saying in everything, give thanks. 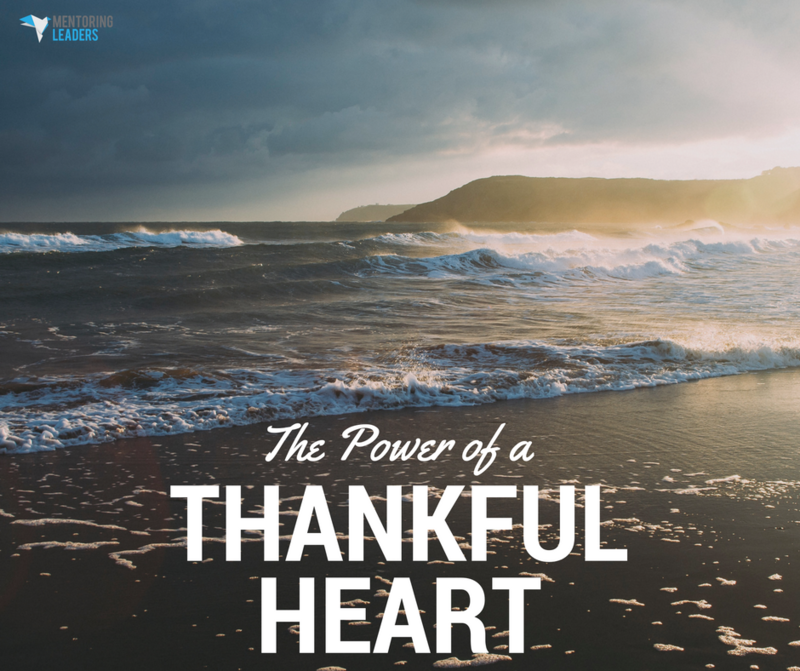 Keep a heart of thankfulness. My responsibility is, in everything, to keep a thankful heart because it will protect me from becoming bitter and losing sight of God. Grumbling will cause us to focus on what we don’t have. When we focus so much on what we don’t have, we miss the very things that we do have. We are to look not at the things that are seen (situation), but at the things that are unseen (eternal gems). God is telling us that if we have an ungrateful heart, we will not be able to see the eternal things that He has for us in that situation. But, if we recalibrate our hearts and say, “Lord, I’m just grateful that I’m saved and You’re here with me,” you will find that when you hit problems, solutions will start to pop up. To enter into His promises, recalibrate your heart today to gratefulness and watch how options start popping up. If we miss that, we’ll miss the promises of God because we must enter into His presence with thanksgiving.